William O. 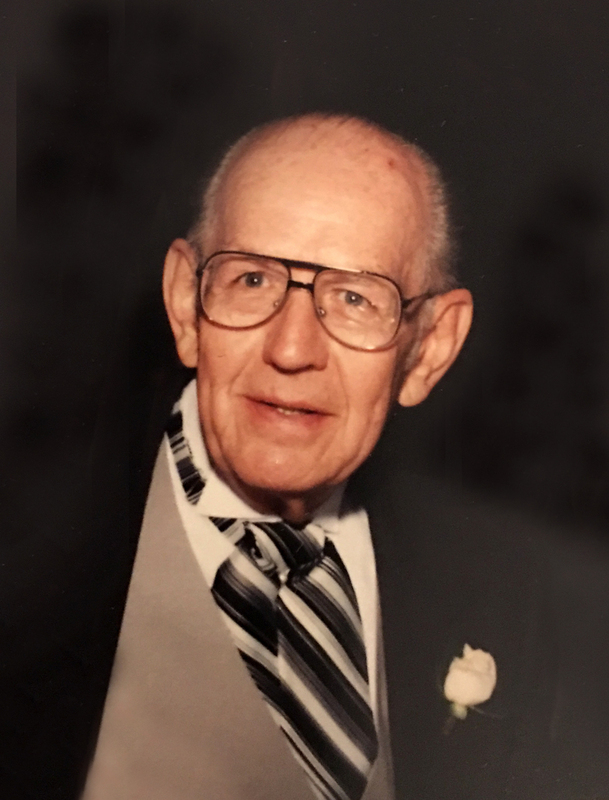 “Bill” Gatewood, 88, of Carthage, passed away on the morning of Sunday, April 15, 2018 at Glen Oaks Health Campus in New Castle. He was born on November 20, 1929 in Carthage, a son of the late William and Lulla (Stites) Gatewood. Bill was raised in Carthage and graduated from Carthage High School in 1947. He served in the U. S. Army during the Korean Conflict. Bill married his wife, Mary E. Bledsoe Joseph, on August 16, 1964. They enjoyed 47 years together traveling and hunting for antiques. Bill and his brother, Wilbur Gatewood, owned and operated a Minneapolis Moline Dealership for many years. Bill retired in 1987 as a machine repairman from Chrysler after 22 years of service. He was a member of the Masonic Lodge #72 of Lewisville, Knightstown American Legion Post #152 and attended East Street Christian Church in Carthage. Bill was a very talented woodworker including carving and scroll work. He loved his flower and vegetables gardens, collecting Indian artifacts, watching sports, especially Purdue and Pacer basketball. Bill often looked forward to eating out with family and friends. Those left to cherish his memory include his step-son, Michael (wife: Barbara) Joseph and grandson, Scott Joseph all of Houston, TX; special caregiver, Beverly Gilaspy of Carthage and numerous nieces, nephews and extended family. Along with his parents, he is preceded in death by his loving wife, Mary (2011); siblings, Wilbur Gatewood, Elizabeth Moore and Marie Akers. Funeral services will be held at 11:00 am, Thursday April 19, 2018 at Heritage Funeral Care in Knightstown. Burial will follow in Arlington East Hill Cemetery with military honors by contingents from the U.S. Army, VFW and American Legion. Friends may call from 4 – 8 pm on Wednesday at the funeral home with Masonic Rights to begin at 7:30 pm. Memorial contributions may be made to Rush County Community Foundation with envelopes available at the funeral home. The Hunt family and Heritage staff is honored to serve the family of William Gatewood. To send flowers to the family of William O. "Bill" Gatewood, please visit our Heartfelt Sympathies Store.